I was late to the SIG party. I didn’t like the high bore line. But when I converted, I had a P239, P245 and a P220 marked ‘made in W. Germany. Also had a P226, in 40 S&W for a short while. Traded her for a debt. Sig’s QC did a faceplant for a while there, I’ve heard they are bringing it back though. It was a trip and stumble, but not so much a faceplant. They fixed things quickly. They remain top notch. I too came late to the SIG party but have embraced the P 250 in .40 S&W and .357 Sig. I have everything from sub -compact to full sized and they are all boringly accurate when allowances are made for the short sight radius on the little ones. The DAO trigger pull had a learning curve but they remind me of nothing so much as high capacity revolvers. I have yet to have a malfunction with either trigger group regardless of the configuration. The magazines have been completely bulletproof in terms of reliability. Two thumbs way up for SIG . 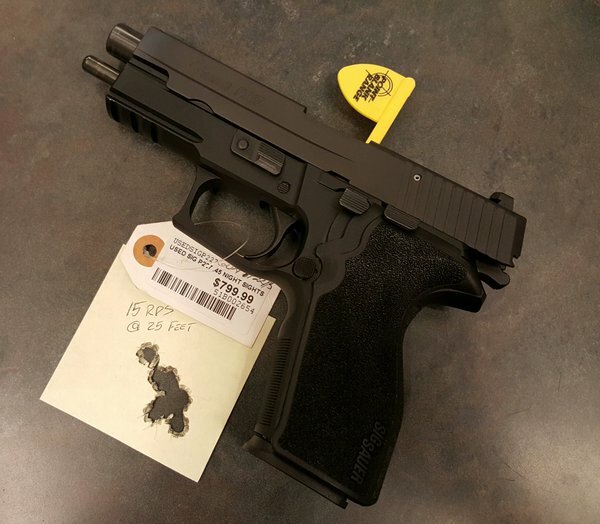 I always wanted to try sig out, and for a while i was saving up for a p225 but we had a nasty winter and the propane bill ate that money up pretty quick. Now those are no longer available, as i see it the big problems with sigs is the price and magazine availability. you can find 1911, glock, and m and p mags at gun shops easily sigs not so much. I think they brought those back. Never could get into the Sigs, too large for the most part and too high a bore line to be comfortable for me, except for the .380…had two a 9 and a 45 didn’t keep them long. Before you switch to carrying Sigs, are you still carrying wheel guns religiously these days? I need to get a Sig one of these days. The question is which model? 5 out of 7 days a week, yes. All would be in either .45 or 9mm respectively. Maybe a 229 in .357 SIG. I’m kinda done with .40 cal. A P239 in .40 in 1998 was my first center fire semi. Seven years later I added my second center-fire semi – a P232. Still have both, and both still shoot flawlessly. Though I’m not a fan of the “dot the i” sights on the 239, it’s not enough of a problem that I’ve bothered to change out the rear sight.